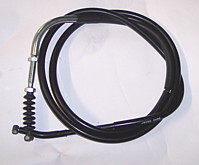 OEM Clutch Cable - Genuine Suzuki clutch cable for the M109, stock length. Price does not include shipping. 50 state shipping for this item is $6. When ordered with other items shipping cost will be based on the weight of the entire order.